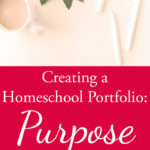 Now that we know our purpose for creating a homeschool portfolio, and we have gathered all the supplies that are needed, as well as figuring out a general idea of what to include, it is now time to start assembling the homeschool portfolio itself. This is probably the part people are looking for most – homeschool portfolio ideas. Having homeschool portfolio ideas gets your creativity flowing, and helps you to understand what you want to include. While I would love to say that it is easiest to pull out certain samples throughout the year and put them in a special portfolio file in order to easily assemble everything at the end of the school year; that has not actually happened for me. Instead, I tend to store everything in a box, and go through everything at once. 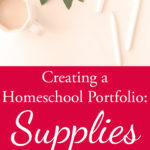 If you are able to pull out samples throughout the year, I am sure that would save a lot of time on this part of the homeschool portfolio process. However, that is not where we are at currently! When you look at that big box in front of you, it is overwhelming. You don’t know exactly what you should include. 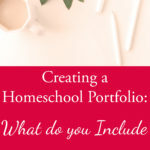 After today you should have some homeschool portfolio ideas – what you do want to include. 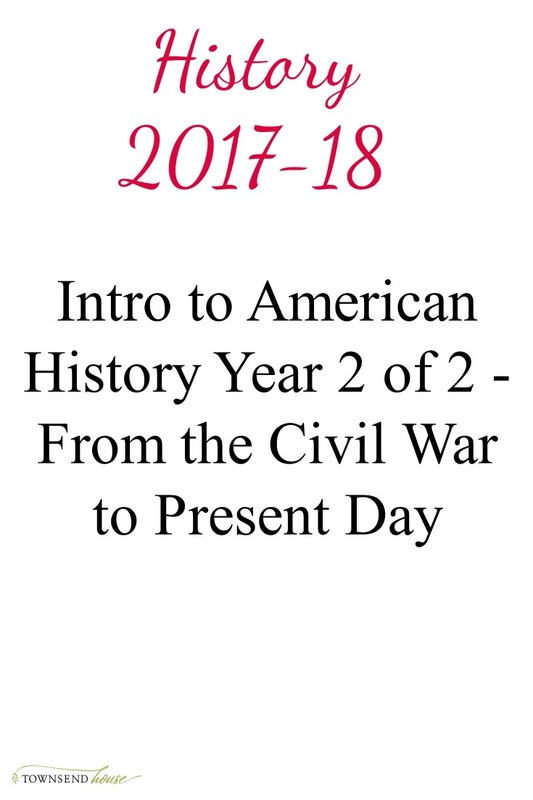 The next section would then include your book list for the subject, or the materials that you used. I understand that sometimes you don’t necessarily use books for a certain course, but you want to list the types of materials you use, whether worksheets printed off Pinterest, or book lists, or a list of places you visited to do your nature study (which can also be included in the field trip section). Now we are at the point which causes the most stress for people, the samples of your child’s work. In the state of Maine you have to show “progress” in each of the subject areas that were listed in the what to include post. But, how do you show progress? What does that even mean? Progress shouldn’t scare us as much as it does. 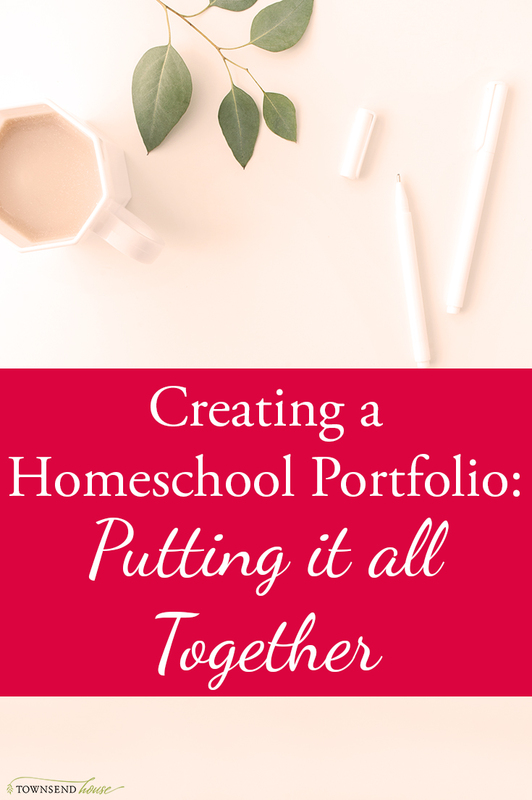 The reason it does is because when we get to this point we all think “did I really do enough?” This is why I am giving you some homeschool portfolio ideas! I don’t want this process to scare you! I remember talking to an unschooler when I was just starting out on our homeschool journey, saying that I didn’t understand what they meant by progress. and she said that progress doesn’t mean perfection in a subject. It doesn’t mean mastery, it means that the child has learned something. She also said that it is very difficult to make your child not learn at all through a given year. It made sense when Emma was two, but I still struggled with it when she turned seven and I knew I had to report to the state. In fact it is something that I continue to struggle with, which is why having homeschool portfolio ideas will help. It helps me as much as it helps you! Here are some ways you can show progress in the different subject areas. First, if you have specific writing samples, math worksheets, tests, quizzes etc. ; those will be included here. In order to show progress you will need to include samples throughout the school year. I don’t want you to take the best samples from the beginning though, I want you to pull the bad stuff out. Wait, what did I just say? 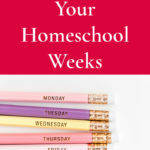 When I first heard this approach to the homeschool portfolio, I was a little taken aback. I do not want to display my child’s worst work! When you are thinking about showing progress in a specific subject, this is the best place to start. As you pull samples throughout the year, start with the worst, and gradually grab the better stuff, while finally grabbing the best samples from the end of your year. That will show the progress that your child actually made. Most teachers that evaluate your child’s portfolio are not looking to judge your child on how well they started the year, they are looking to make sure that they are making satisfactory progress in the different subject areas. Remember, kids that are in public and private school to not all reach “perfection” in their subjects. They all start not knowing exactly what they need to know, but are able to progress throughout the year. They may get all A’s, or they may get all C’s, but they are all still going on to the next grade at the end of the year. These are just some examples of items you might include. In other words you do not need to include everything. You may have ideas of your own of items you want to include. These are homeschool portfolio ideas to get you in the right frame of mind on samples that work well in a portfolio. The rest of the portfolio sections are really self-explanatory. They aren’t even really needed, but nice to include to give a full picture of your child’s year. Maine is a state that has “moderate regulation” and that scared me quite a bit as I was starting out. As I have started to work my way through homeschooling officially for a few years now, I have realized that the teachers that are evaluating your child’s progress are not scary, and want to help you and your child succeed. Putting together an amazing portfolio is just part of the equation. Even if you and your child struggled all year in a particular area, you were spending time trying to find what worked the best for your child, and that is the most important thing. Remember that there is not a one-size-fits-all way to teach children, everyone learns differently. Taking the time to really work with your child and find out their specific learning style is one of the luxuries of homeschooling. What part of putting together a homeschool portfolio scares you the most?